If you would like to register at Avon Co-op, please go to the link below, create an account and search for Avon Co-op either by using the map or the search criteria. You can then place your child on our waitlist and you will be contacted by our Registrar to be enrolled! It is just that easy! If you have any questions about this process, please email our registrar at avoncoopregistrar@gmail.com. 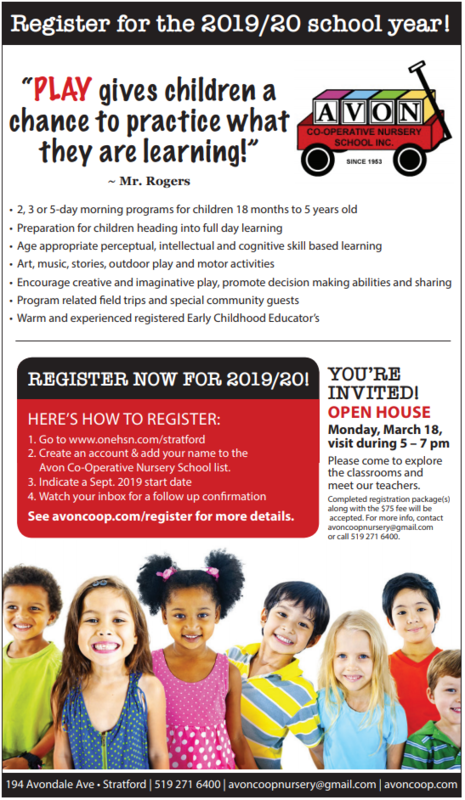 Established in 1953, Avon Co-operative Nursery School is one of the oldest cooperative nursery schools in southern Ontario. 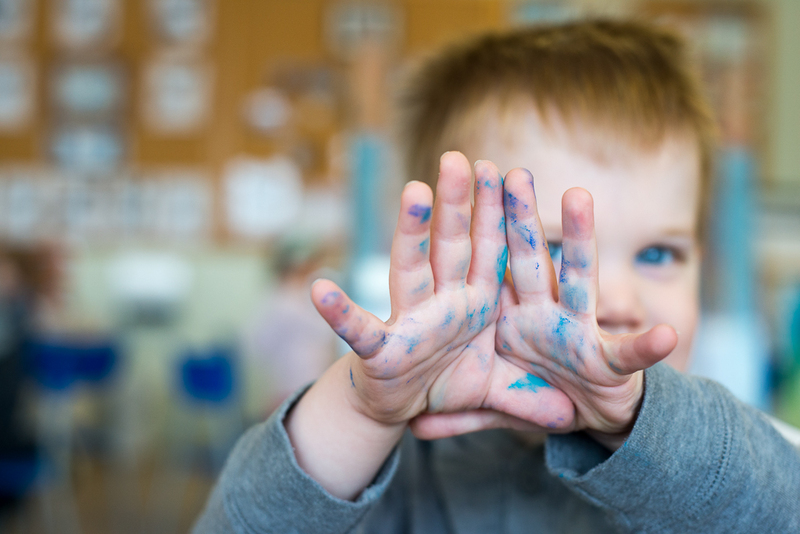 At Avon Coop we provide a rich, stimulating, and safe environment where children learn through play. Working as a co-operative allows the members to assist in the preschool responsibilities while reducing overhead costs and keeping tuition down. In addition to the financial benefits of a co-operative, Avon Coop acts as a bridge allowing parents to be involved with their child's first step into the school environment. Being part of a co-operative allows you to connect with an incredible community – getting to know the parents and children your child goes to school with. 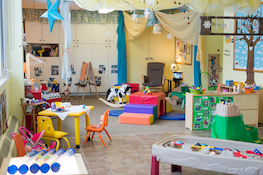 Located in the Avon Ward neighborhood of Stratford, Ontario within Avondale Church, Avon Co-operative Nursery School has an incredible warm space. Preschoolers can flow through 3 classrooms, a gym, outdoor space with climber, while the Toddlers have a large classroom, access to the gym and a fenced in natural play space. We offer nursery school programming September – June, Monday to Friday from 8 am to 12:00pm.